Looking for a little extra class? 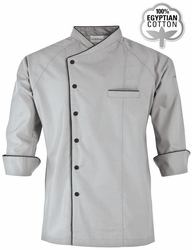 Style, comfort and luxury come together in this men's tailored fit chef coat. 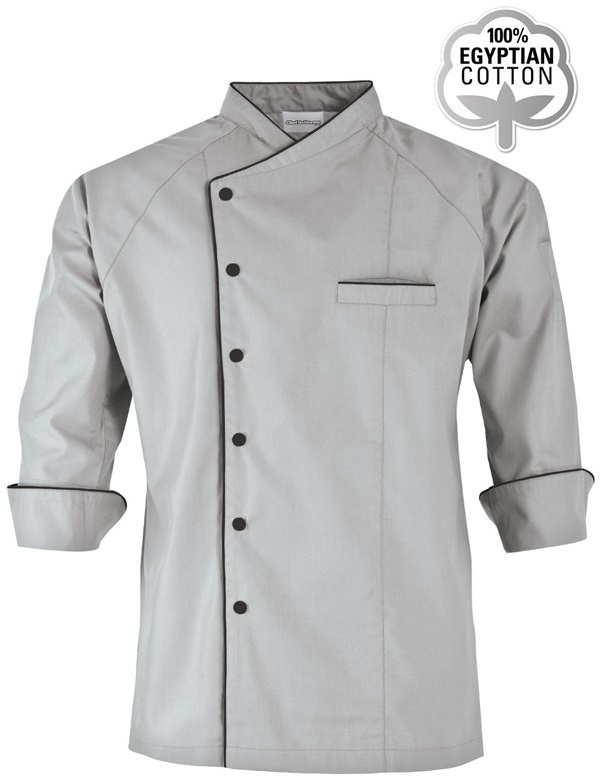 It offers a crossover collar, a snap front closure, a two piece executive back, a left chest pocket and a thermometer pocket. Also features back vents, underarm vents and extra room in arms and cuffs for a more comfortable fit. The raglan sleeves are 3/4 length so you can have maximum comfort and protection all in one coat. 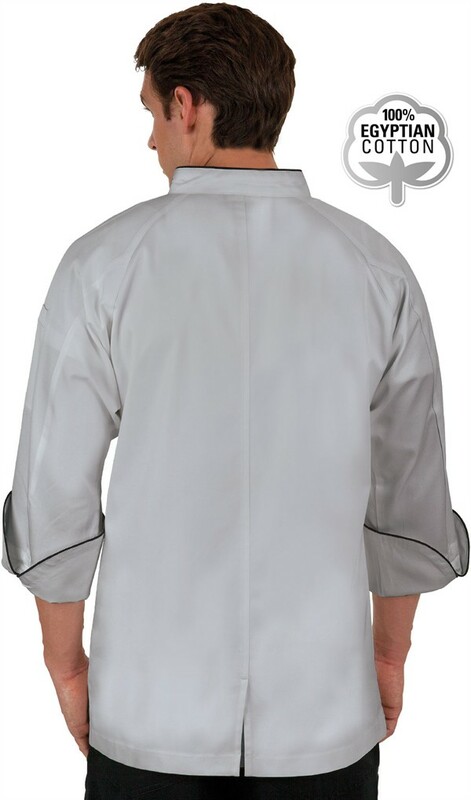 A contrast trim accents the collar, chest, pocket and cuffs of this chef jacket. Premium fabric is 100% Egyptian Cotton. The approximate length for size Large is 31 3/4".